Pyle's Blue Label series speakers don't just sound great - they look great, too. Feast your eyes upon the azure curves of Pyle's Blue Label series and you'll agree. This 10', 600-watt subwoofer will give your sound system that extra kick you're looking for. Non-pressed paper cone reproduces the low-end accurately for punchy, powerful bass. The specially treated foam edge suspension keeps your speaker secure and distortion-free. And it's all housed in a chrome-stamped basket with custom embossed magnet cover for that “flame' look. This speaker is powered by a 60 oz. magnet structure with 2' high-temperature Kapton voice coil with 8 ohm impedance. Connect your wires using the secured Allen key terminal connections. 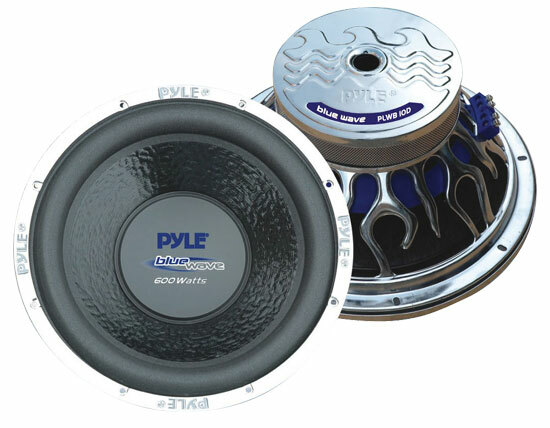 Pyle's Blue Label has premium bass at a great price.